The two time Helpmann award winning production Attractor will see its creators Dancenorth, Lucy Guerin Inc, Gideon Obarzanek and Senyawa join together again for the Brisbane Festival from 20 – 23 September 2017. Attractor is an immersive dance and music performance that premiered at Asia TOPA in Melbourne in February 2017. Then, this production will travel to the USA to play at Whitebird Portland, Oregan, in October and at UCLA, Los Angeles in November. Indonesia’s tour-de-force music duo Senyawa and Melbourne’s choreographic luminaries Lucy Guerin and Gideon Obarzanek have joined forces with two of Australia’s leading dance companies, Lucy Guerin Inc and Dancenorth to create this work. Senyawa sound borrows from the metal bands they listened to as teenagers – Black Sabbath, Metallica, Iron Maiden – and Indonesian ritual and folk idioms. Their music and performance is influenced by forces in nature to take the audience into a transformative state outside of organised belief systems. “Senyawa and I discussed our seemingly contradictory interest in traditional and ceremonial music and dance. We concluded that it was the desire for individuals to become a part of something bigger than themselves. Making Attractor comes from a shared interest to construct rituals for non-believers,” said Mr Obarzanek. 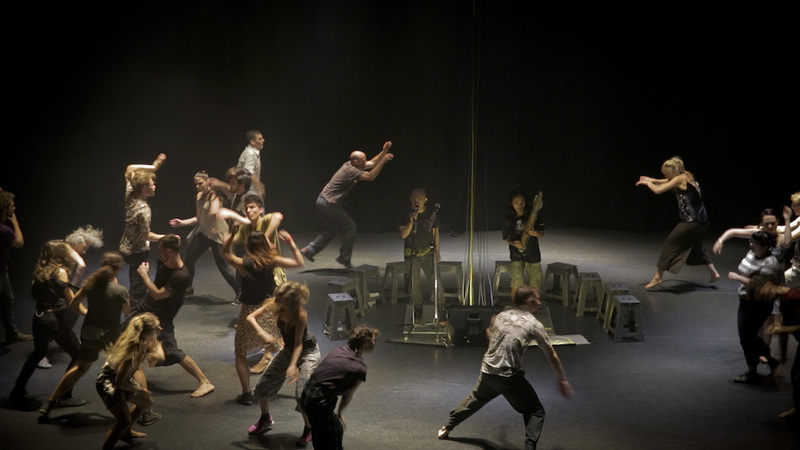 Co-choreographer and Director Lucy Guerin adds that “Attractor has been a succumbing to the inherent power of music and dance, and how they can propel each other into heightened states of energy, tone, rhythm and form”. “Twenty members of the audience join in on stage, dissolving the demarcation between dancer/non-dancer, audience/performer, the professional and the amateur, through this participatory act of doing,” said Ms Guerin.